The Universe Has Almost 10 Times More Galaxies Than We Thought : The Two-Way A new study finds there are about 2 trillion galaxies in the observable universe, up from about 200 billion. It's the first major revision to that number since the 1990s. 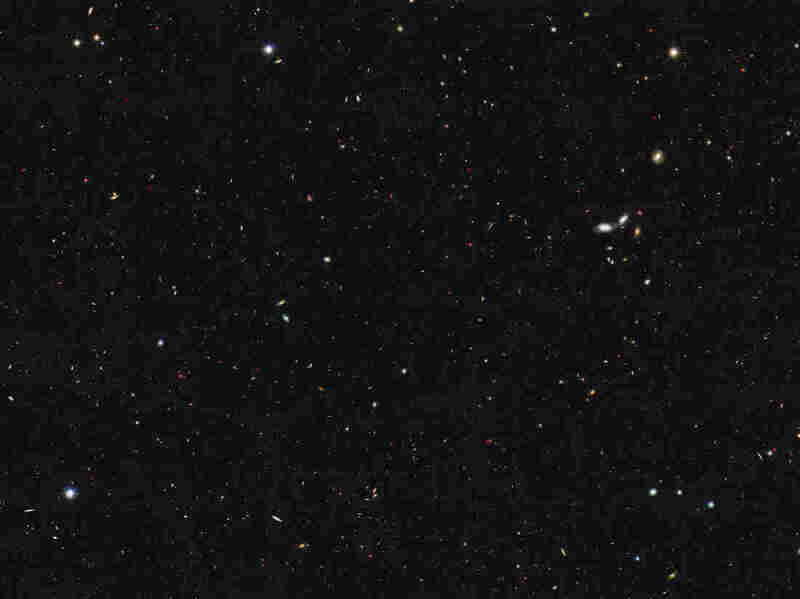 This image shows a portion of the sky used to recalculate the total number of galaxies in the observable universe. Counting all the galaxies in the universe is hard. So hard, it seems, that it's possible to miss billions of them. 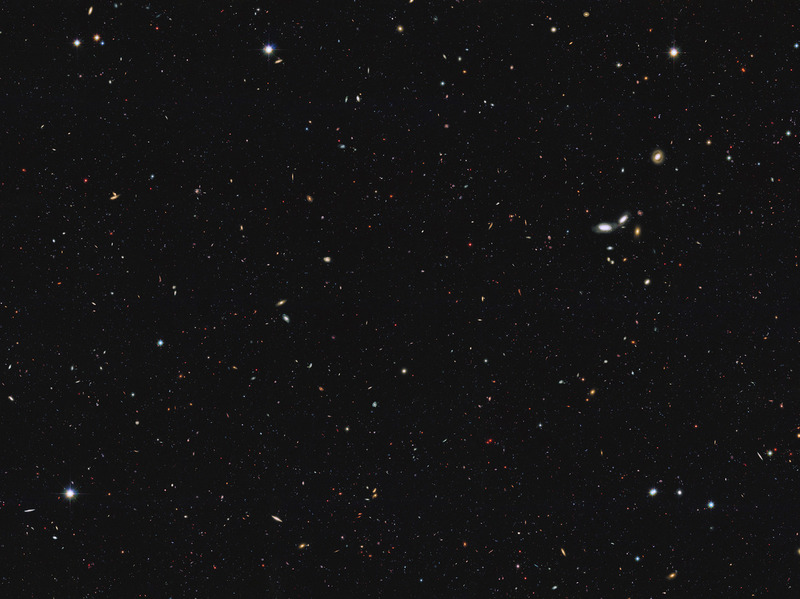 A new analysis of Hubble Space Telescope data finds there are almost 10 times more galaxies in the universe than we once thought there were — about 2 trillion of them, up from about 200 billion. It's the first major revision to the number since 1995, when scientists turned Hubble's gaze on one section of sky for 10 days and created an image, unveiled in 1996, that NASA called "mankind's deepest, most detailed optical view of the universe." Based on the single section of sky and the galaxies that showed up in it, astronomers extrapolated that the entire universe should have about 200 billion galaxies. But that far from settled the question. Twenty years later, the new analysis begins by noting that the number of galaxies in the universe is still "a fundamental question." The study, led by Christopher Conselice of the University of Nottingham and accepted for publication in the latest issue of The Astrophysical Journal, used deep-space images from the Hubble telescope as well as other deep space data that had already been published to create a 3-D image of the observable universe. The results of the latest study suggest that 90 percent of the galaxies in the observable universe are too faint or far away for current telescope technology to see. Which means the 1996 estimate, which had been based only on what Hubble could see, was way off. "It boggles the mind that over 90 percent of the galaxies in the universe have yet to be studied. Who knows what interesting properties we will find when we discover these galaxies with future generations of telescopes?" Conselice said in a NASA press release. "In the near future, the James Webb Space Telescope will be able to study these ultra-faint galaxies," he said. The James Webb Space Telescope, one of the most expensive things NASA has ever built, is scheduled to launch in 2018, and will be able to peer deeper into space than its predecessor Hubble.